Ali started dancing at the age of 5, and she started competing at 6. She trained at Dyan’s World of Dance for seven years in tap, jazz, ballet, pointe, lyrical, and musical theater. Ali attended Eden Prairie High School, and she was a double varsity member of the Eagles dance team all four years. While on dance team, she received a number of awards and opportunities including the JFK Heather Habeck award, All State participant in ‘06 and ‘08, Wells Fargo All-Tournament Team member in ‘08, and competed on Team Minnesota in ’06. In high school, Ali was also involved in local theater productions both on stage and behind the scenes. After high school, Ali became a company member of Crash Dance Productions, training in contemporary and improv, and she performed in four company productions. She was a Minnesota Vikings Cheerleader for three seasons, and while cheering, had the opportunity to travel across the US to perform at various military bases (and with the Beach Boys and John Stamos!). Ali was a coach for the Eden Prairie Eagles dance team from 2011-2015, and has been coaching the Chaska Hawks dance team since 2015. She taught recreational and competitive dance from 2010-2014 before her family opened up VELOCITY in the summer of 2014. She’s received 8 choreography awards, a director’s award, over a dozen high point and title winners, and two grand championship titles over the last four years at VELOCITY. Ali's goal as a teacher is to spread her passion and love for dance to her students. Hannah grew up performing! She danced competitively studying tap, jazz, and ballet at Dyan’s World of Dance until the age of 11. At 14, she began learning the craft of theater at a variety of institutions, and she has performed in theater productions at Children’s Theater, Stages Theatre Company, Eden Prairie High School, Normandale Community College, the Sabes JCC, Eden Prairie Players, Chaska Valley Family Theater, Freshwater Theater, and the Minnesota Fringe Festival. Hannah graduated from Eden Prairie High School and studied Theater Performance at Normandale Community College. Hannah also has performed on film: One Kind Thing and Lady Dynamite. She was a founding member of the Improv group, Wild Intentions, at SteppingStone Theatre in Saint Paul. She has done crew work for many shows at Stages Theatre Company, Artistry, and the Southern Theater. In addition to performing and crew work, Hannah has become a script writer. In her senior year of high school, she and her cast mates wrote a show based on personal bullying experiences called "Sticks and Stones." They added another weekend of performances due to high demand of tickets and offered talk-backs with middle schools on how to prevent bullying. Although Hannah spends a great deal of time developing and planning her classes as the Theater Director at VELOCITY, she also finds time in her off hours to help out as an assistant theater director Chaska High School and works in the bakery department at Kowalski’s! 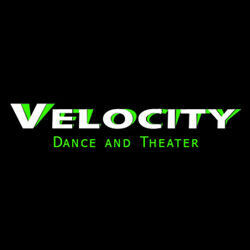 Hannah has loved being a part of VELOCITY and has had such a joy seeing her students grow as performers. Bio and headshot coming soon! Travis found his love for dance when he was five years old. He grew up dancing at Mauri’s School of Dance in Burnsville, training in tap, jazz, lyrical, and musical theater. Following high school, he went to Minnesota State University - Mankato (MSU) earning a Bachelor’s degree in Mass Communications. While at MSU, he took many classes in modern, tap, jazz, improv, and Afro-Caribbean. He began coaching fall dance team in 2012 and has spent the last five seasons with Maple Grove. On top of juggling the dance world, he is also a Project Manager at SAP Concur in Eden Prairie. Travis enjoys teaching VELOCITY’s jazz and post-dance team classes, where he takes pride in watching his dancers grow with their movement quality and confidence. Courtney’s passion for dance started as soon as she took her first class at three years old. She grew up dancing competitively at Legacy Dance Studio for eleven years, and Revolution Dance Studio (now known as Delmonico Dance) for two years. Her first two years of high school were spent at Saint Paul Conservatory for Performing Artists focusing on various forms of dance and dance history including tap, jazz, modern, ballet, contemporary, hip hop, and more. Once she transferred to a public school for her last two years of high school, she became a teacher at a studio in Lake Elmo. Courtney attended college at Minnesota State University - Mankato which allowed her to move back home her last two years and teach recreational dance at Lifetime, while still completing school. Courtney is an Elementary Special Education Teacher at Academy of Whole Learning in Minnetonka. She says, “Competition dance was my whole entire childhood, and now getting to be on the teacher side of it has only made my love grow fonder”. Her favorite part of teaching is the pure gratitude and love each student portrays for this art. A native of Virginia, Sarah graduated from James Madison University (JMU) in 2018, where she earned a B.A. as a double major in Dance and Mathematics. There, she was a member of the Virginia Repertory Dance Company, which created performance and teaching opportunities nationally and internationally. She has had the pleasure of performing works by Doug Varone, Christopher K. Morgan & Artists, Rubén Graciani, Netta Yerushalmy, and more. She has taught master classes in modern, jazz, and compositional techniques in Virginia, North Carolina, New York, Minnesota, and Winchester, England. She has also had the privilege of serving as the Co-Director for JMU's Associate Dance Ensemble, where she taught, mentored, and choreographed on an ensemble of freshmen dance majors. Sarah recently moved to the Twin Cities to pursue a career as a dance artist and educator. Currently, she is a member of Mathew Janczewski's ARENA DANCES, a contemporary dance company based in Minneapolis. She joined ARENA as a teaching artist for DanceON, a dance residency initiative for high school dance programs, which offers a more continuous, immersive approach to providing accessible dance education. Additionally, she teaches Pilates, barre, and dance cardio at The Resistance Movement. Sarah began teaching to share her passion for dance with younger generations of dancers. She works to create spaces for personal growth and creative/ physical risk-taking, with the hopes that young dancers are able to fully and safely express themselves through movement. This is Sarah's first season with VELOCITY Dance and Theater, and she is thrilled to be working with such dedicated, kind, funny, and talented young dancers. Since the age of four, dance has been a huge part of Kiana’s life. She received training in tap, jazz, contemporary, musical theater, hip hop, along with private instruction in tap from Sean Kaminski and ballet training from Edith Barragán (former ballerina in the Royal Ballet of Wallonie in Charleroi, Belgium). Kiana continued her training by dancing at studios such as Broadway Dance Center (New York City, NY), Dance Connection (Palo Alto, CA), Synergy Dance (Colorado Springs, CO) and by attending dance master classes with artists such as Travis Wall, Savion Glover, Greg Russell, Helen Phillips, Kenny Wormald, and Stacey Tookey. Originally from Cedar Rapids, IA, Kiana moved to Minneapolis the spring of 2017. After settling in, she taught at several studios. This is her first season teaching at VELOCITY. Most recently she was given the opportunity to choreograph Chaska Valley Family Theater’s production of "Scrooge." Kiana also performed in both the Moscow Ballet & Quad City Ballet’s Nutcracker, which are some of her most memorable dance experiences. She won numerous regional and national titles as a soloist, duo/trio partner, and group member. When she was thirteen years of age, Kiana started choreographing and won her first award for “Best Choreography” at Starz Dance Competition two years later. After that, she’s continued her journey choreographing musicals, show choir, and competition pieces for dancers of all ages. Kiana hopes to share her passion for dance with everyone who crosses her path. She believes that dance can always be a part of a person’s life no matter what dreams he or she pursues. Olivia started dancing as soon as she could walk. She first started her training at the Academy of Russian Ballet and has been dancing at Summit Dance Shoppe for the past 8 years where she recieved training in all styles of dance. She is a Summit invitational Company dancer as well as a senior member of Summit ballet theater directed by Allynne Noelle and Thomas Brown (Principle dancers with Suzanne Farell ballet). Olivia spent a summer dancing with American Ballet Theater where she was placed in the higest level and studied with the ABT Corp Director. Olivia has won numerous regional and national titles, including NYCDA Senior outstanding dancer, top 12 classical and contemporary at YAGP, Radix Nationals top 20, national teen miss Masquerade and various other regional titles. Olivia has had the opportunity to work with many talented teachers and choreographers, a few being Mia Michaels, Tyce Diorio, Kirsten Russel, Tessandra Chavez, Brian Friedman, and Randi and Heffa. Her first professional dance job was dancing in the BMW dealership fashion show in fall of 2018. Olivia has a passion for choreography and has won multiple student choreography awards, including 2 at Showbiz Nationals. Olivia plans to continue dancing at AMDA Los Angeles in the Fall of 2019. Cayman has been training and advancing both her skills and her passion for dance since the age of three. She grew up training in Chanhassen where she was a member of VELOCITY’s award-winning teams. While competing with VELOCITY, she also danced for her high school team, and later went on to dance for the University of Minnesota Duluth dance team. She and the UMD Bulldogs cheered at football and basketball games, performed at community events, and in 2017 and 2018 placed top 5 in the nation at UDA nationals in Orlando, Florida. Cayman is working toward a B.S. in Exercise Science and a B.A. in Hispanic Studies, with hopes to pursue a career in the sports medicine field (and dance, too!) following her graduation in 2020. Recently, she spent 5 months studying and traveling in Australia, where she was fortunate enough to study dance as part of her curriculum abroad. Cayman was thrilled to be invited onto the VELOCITY faculty following her high school graduation, and has been with the team ever since. Routines she’s collaborated on with other staff members have been awarded several choreography awards, and she has helped lead VDT’s teams to regional and national championship titles. In addition to teaching at the studio, she’s passionate about coaching the Chaska High School Dance Team. When she’s not dancing or coaching, Cayman loves to spend time with her family and dogs, write, travel, and relax at the lake. She is overjoyed to welcome both new and returning athletes into the VDT family, and can’t wait for another incredible season! Finding interest in dance at the age of 3, LaTia continued to indulge her passion for expressionism through movement. Exposure to Graham and Horton technique, the movement LaTia most identifies with, began at F.A.I.R. school where she attended 6th-8th grade. LaTia is continuing her pursuit for physical expression through her college experience at the University of Minnesota (Twin Cities campus) where she studied American Sign Language and graduated with a Bachelor's degree in Dance, May 2014. While at the university, she has been involved with myriad of artistic collaborations that include the Ordway (McKnight Theatre), TU Dance, ACDFA (American College Dance Festival Association), Southern Theatre, 2013-2014 company member of Minnesota Dance Ensemble, participant of the 2014 Fringe Festival and many other dance endeavors. LaTia has danced professionally with Threads Dance Project located in Minneapolis, MN as well as Minnesota Dance Ensemble in Saint Cloud, MN. She has also attended Arts Advocacy Day as a student, an independent contractor, and as an arts educator. LaTia plans to travel to non-urban communities where she will develop workshops that encourage the local community to explore and create new accessible movement vocabulary. Currently LaTia works at Loveworks Academy for Visual and Performing Arts as a Dance Teacher for K-8, co-coordinator for the after school program, and Head Coach for the Cooper High School Dance Team. LaTia is excited to contribute and learn while serving on the board of Minnesota Citizens for the Arts.